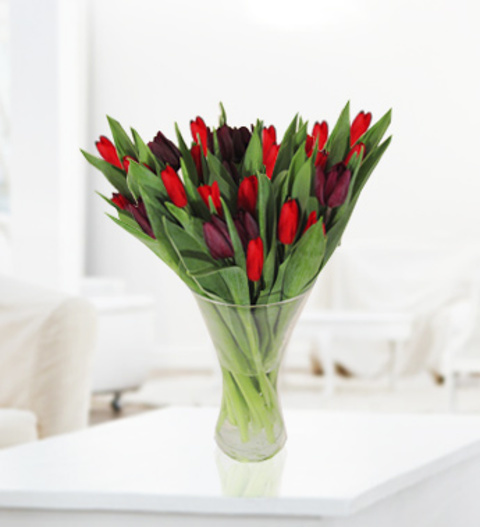 Our Tulip Kisses bouquet is a lovely fresh arrangement of luscious tulips. Tulip kisses is sure to woo your lucky recipient. This bouquet is made up with romantic shades of red and purple tulips. FREE box of delicious Belgian chocolates also included! Tulip kisses is available for UK next day delivery. Chocolates may contain nuts.